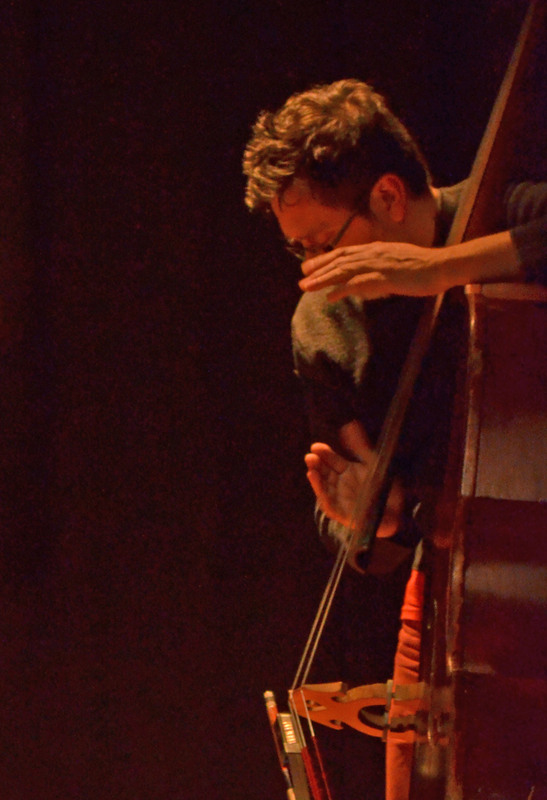 Pablo Vazquez (contrabass, electric bass, electronics, vocals) is an improviser based in Buenos Aires, Argentina. In his home city he has collaborated with many local improvisers and also with visiting figures such as Tony Malaby, Dror Feiler, Frode Gjerstad, Christoff Gallio. He resided in Barcelona between 2002 and 2005, becoming part of the local musical scene. Since 2013 he has toured anually through different European cities and sharing the stage with Barcelona based improvisers like Marko Jelaka and Diego Caicedo (Miodesopsia Trio, with whom he recorded for Morbo Records label), Vasco Trilla, El Pricto, Ove Volquartz, Amaiur Gonzalez Monreal, Luiz Rocha, Ivan Gonzalez, Anna Subirana, Ilona Schneider, Ferran Besalduch. He has recorded albums with Rhabdoviridae (string trio dedicated to free improvisation, with violinist Caro Tierhs and cellist Cecilia Quinteros), Tecla Gato Trio; Sama Espinal Vazquez trio, La Cornetita (free jazz quartet). In august 2017 he recorded his first solo album for prepared contrabass (Solo 1, Seres Imaginarios; Creative Sources Records, Portugal, 2017) which he will be presenting on january 2018 in Barcelona, Hamburg, Lisboa and Amsterdam). 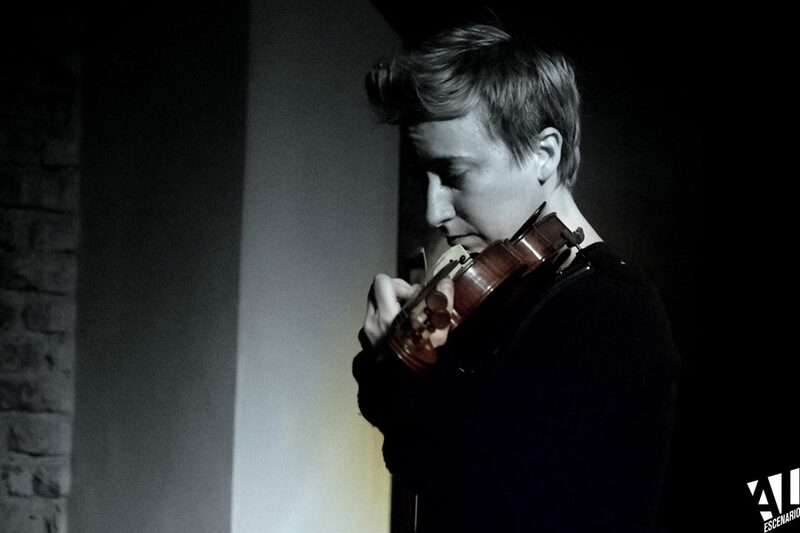 Caro Tierhs (violin, vocals),argentinean musician and improviser with a background in academic music and tango, has been an active part of the growing local scene of free improvisation for several years. She has recorded two albums, with Rhabdoviridae (acoustic free improv trio, with double bassist Pablo Vazquez and cellist Cecilia Quinteros), and Tecla Gato Trio, with whom she has toured through Europe in January 2017, performing in Barcelona, Madrid, Berlin, Köln and Amsterdam. She has been honoured to share the stage with great European musicians and improvisers such as Raoul Van der Weide, Henk Zwerver, Niels Brouwer, Marta Warelis, Laura Lotti, Maya Felixbrodt, Ivan Babinchak Renqvist, Jasper Stadhouders, Oscar Jan Hoogland and dancers Kenzo Kusuda and Kristien Sonnevijlle (in Amsterdam), Ilona Schneider, Patxi Valera, Vasco Trilla, Ferran Besalduch, Luiz Rocha (in Barcelona), Hui Chun Lin and Eric Wong (in Berlin), and Chefa Alonso in Madrid.